When The Doctor is stolen from Voyager and sold to a vast ship-based medical facility, he finds himself in a situation that challenges his ethics. Aboard this ship, treatment is allocated based on social status rather than need. Those with higher social status are sent to the higher level. Those with lower social status wind up on the lower levels, where they are denied basic treatment. While these people suffer, the available medicine is rationed to healthy members of the higher class as a preventative measure. 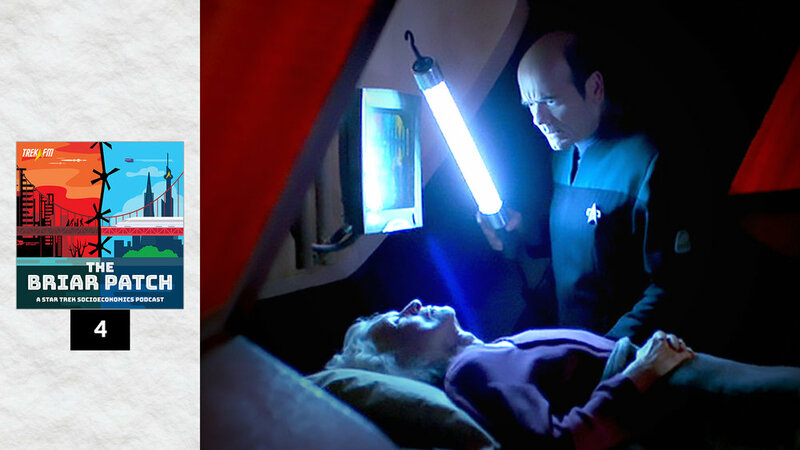 In this episode of The Briar Patch, hosts Guinevere Liberty Nell and Patrick Devlin discuss the medical system portrayed in the Voyager episode “Critical Care.” We look at how these systems mirror our own, how they differ, and the reasons why a society might prioritize those with higher social status over those most in need.